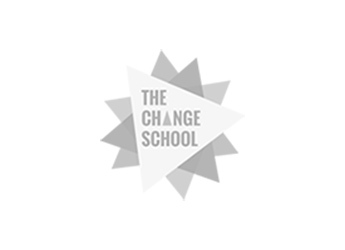 The Change School 6 Stages Of Change - Where Are You Now? 6 Stages Of Change - Where Are You Now? In case you missed this week’s Change School TV episode, Grace and Solonia discuss the 6 Stages of Change, conceived by psychologist James O. Prochaska in the early 1980s - how to get a sense of where you are on your own change journey, and what attitudes and actions you can take to help you move forward. If you’ve ever made a genuine effort to change something about yourself or your life - like quitting smoking, losing weight, start a savings or finding more fulfilling work - you’ll know that change doesn’t happen overnight. Lasting change takes time, effort and persistence. Recognising the different stages of change and understanding that change involves both forward and backward steps, or relapses, will help you to be more patient with yourself as you move through change process. Remember that while taking action is important, it’s OK if your progress slows down or relapses once in awhile. Don’t beat yourself up. Instead, pat yourself on the back for staying the course and keep going! In this stage, you’ve probably heard plenty of times that you should change but you’re likely not taking any steps to change due to a high level of resistance. Maybe you feel it’s too much work, not a priority or lack any real sense of urgency. It’s common to remain in this stage for some time until or unless a major event triggers you into action. In this exploratory stage, you might be starting to think about taking action but don’t know where to start. And while you may not be actively seeking advice and feedback, you’re likely to be more open to it now. Here you are becoming more aware of the changes you could make and how it could benefit you, but concerns or doubts may be holding you back. Connect with other people who are going through a change or have gone through change for inspiration, sharing tools or methods, and supporting one another. Taking these steps can help you to get motivated about change and confident that you can succeed. This is where things start to get exciting! You may be feeling more decisive, determined and dedicated to taking action. This stage is about building up your confidence and knowledge about how to make change happen. You’re actively gathering information, support and tools to help you take that first step and start charting the smaller steps that will help you achieve your bigger goals. Enroll in an on/offline course, join a supportive group, engage a life coach, or buy a membership for helpful resources and tools. Immersing yourself in the resources that are available to you will help you set yourself up for success by finding the support you need. In this stage, you’re building momentum to go full-steam ahead and starting to to implement your action plan. This phase is all about consistent practice, strengthening your commitment, and starting to see small wins that will motivate you to keep going. Keep at it! Start building new habits that can help you integrate change into your daily life. Remember, the key to lasting change is consistency; start creating your personal rituals for success and keep practicing until they become second nature. If you’ve been consistently working on your change for at least six months, this phase is all about maintaining your new habits and making small adjustments as needed. Challenges that come up are seen as opportunities to develop new strengths, refine your methods and build resilience in the process. Create a tracking system to help monitor your progress, reflect on your journey - what’s working, what’s not, and where you can make further improvements. Change is not a once-and-done - the key is to ensure you don’t relapse by creating a system that will help to keep you accountable. The final stage of change is two divergent paths. When people in the Maintenance stage continue their new behaviour for at least two years, they may enter into Termination. Here, behaviour change is completely integrated and the potential of regression is gone. Change is no longer something you have to “do” because it is who you’ve become. On the other hand, life isn’t always predictable, and there will always be obstacles that disrupt or obstruct your progress. When people in the Maintenance stage hit these roadblocks, they may fall into a Relapse stage. Don’t be too hard on yourself. Mistakes and hiccups are inevitable, the key is to keep a positive attitude and decide to learn from our shortcomings and find ways to do it better next time. Try to identify the ‘triggers’ that may have caused your relapse and figure out what you can differently to avoid a repeat event. If it helps, consider reaching out to a coach who can help you to troubleshoot your challenges. We hope this has helped you to identify where you are on your current change journey and simple steps you can take to move forward. Download our FREE Stages Of Change Worksheet to help you figure out your current stage of change and the forward steps you can take right away. Get on the waitlist for our next in-take! Still contemplating if a change is right for you?